Ibrox Noise: Could shock switch in personnel solve big Rangers problem? Could shock switch in personnel solve big Rangers problem? 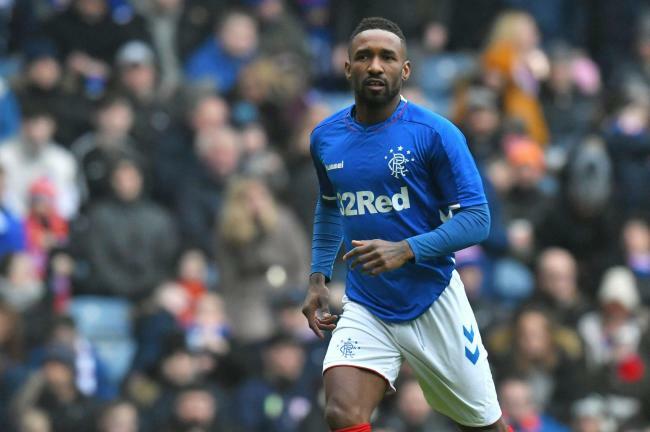 From the moment Jermain Defoe slotted a beautiful pass inside the post then got called offside, the former England international had his tail up and was determined to take the opportunity to prove he can not only replace Alfredo Morelos during his suspension, but permanently. The ex-Spurs hitman has had a reasonable spell at Ibrox in truth – we questioned the signing in earlier months, but we began to see the way Gerrard has been managing his big January acquisition, and we’ve been impressed by the way both men appear content with what the other is doing. And Defoe has patiently and graciously awaited a chance to shine, to be put in the spotlight – and last night, knowing he had potentially four starts ahead of him, the veteran forward put Hearts to the sword and showed there is life left in the old dog yet. We will say this – Jermain Defoe is not a target man, he won’t really hold the ball up, he isn’t great in the air, he’s not particularly strong, and he sure isn’t a big man, but if there’s a more technically gifted striker of the ball at Ibrox and finisher, we’d love to be pointed in his direction. For months, while Alfredo Morelos has of course scored many, he has missed far far more, and even though Ally McCoist was the same (older Bears will remember well), he also delivered on the big occasions. Morelos barely has, and never against Celtic. Meanwhile, a brief cameo v Aberdeen and Defoe’s thunderous finish at Pittodrie earlier this showed just how clinical the on-loan Bournemouth man could be on the big occaasions, and he showed it again last night with three stonking shots on target – one ruled out, one volleyed into the roof of the net and only a stunning save preventing the third nestling in the onion bag. Again, we attest, this was only Hearts, but Jermain Defoe did it for Spurs and England – he can do it for Rangers. Morelos might not be around for a while, if indeed ever, but that similarly might not be the crippling loss it initially appeared if Defoe is going to sustain this level. Big problem is inconsistency throughout the team (except McGregor), thats what we really need to solve! With regards to Defoe, the problem isn't the striker, the problem is getting the ball "to" the striker! For example, you mentioned McCoist, yes he scored and missed plenty, but look at the players who he had in the team placing the ball at his feet, Cooper, Walters, Gazza, Trevor Steven to name but a few. All of our strikers have no way near that quality to feed them bags of chances like McCoist had. Most teams park the bus against us, and even the best strikers in the world would find it hard with 3/4 defenders marking him.